If great games make for a great console, Microsoft made its case for the Xbox One on Tuesday, releasing 23 launch-day titles that include several traditionally AAA franchises. Although the list--which includes the Assassin's Creed, Battlefield, Call of Duty, FIFA, Forza, and Madden franchises--is an impressive roster of games that Microsoft claims will be available at launch, the football-mad European market will receive EA Sports' FIFA 14 as a bundled launch title, if Europeans pre-order the console. (Once supplies sell out, another "blockbuster game" will be made available.) And in addition to the top titles, Microsoft also announced a new program, known as ID@Xbox, designed to lure indie developers back to Microsoft's console. Microsoft made the announcements at the Gamescom conference in Germany, the European equivalent of the E3 conference within the United States. 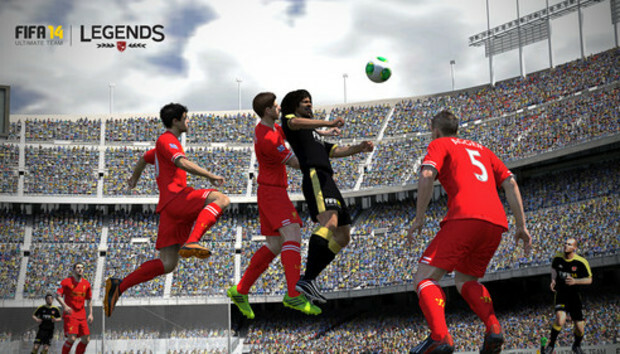 Microsoft also said that FIFA 14 Ultimate Team will be available on the Xbox One and Xbox 360, allowing gamers to create a "dream team" of footballers that they can place alongside their current teams. Microsoft named Swedish footballer Freddie Ljungberg and Dutch star Ruud Gullit as the first two members, and said that more would be added later. Microsoft also announced special bonus content for the Call of Duty: Ghosts and Tom Clancy's The Division, with a new "Blitz" mode for COLD franchise, as well as exclusive content for The Division. Following Microsoft's launch of the Xbox One--and its subsequent backtrack on the issue of DRM and digital games--Microsoft set out to win back independent developers, which had been turned off by statements claiming that they would need to find a publisher before they could make content available on the Xbox One. The first step was making the Unity development engine free to developers. On Tuesday, Microsoft announced Independent Developers @ Xbox (ID@Xbox), a program that will allow independent developers not only the ability to publish games for the Xbox One, but to take advantage of capabilities offered to larger developers, including Spotlight, which highlights games; as well as placing them within lists of Trending games and among Recommendations, plus giving them access to social discovery with features like Game DVR and Upload. "At the end of the day, when you turn on your TV, we want Xbox One to have the broadest and most diverse content possible," Xbox vice president Phil Harrison said in a blog post. "Whether you're in the mood for a big budget shooter, a contemplative side scroller, or something totally different that we can't even imagine yet. The best way to deliver that experience is by doing what we've always done: making life easy for developers, as they do the hard work of creating fantastic game experiences for us all to enjoy." Sony left the E3 conference sitting comfortably in first place with its PlayStation 4, at least among gamer goodwill. But Microsoft's strategy shifts, plus its impressive list of launch titles, certainly seems to indicate that Microsoft has both the clout and commitment to remain on top.